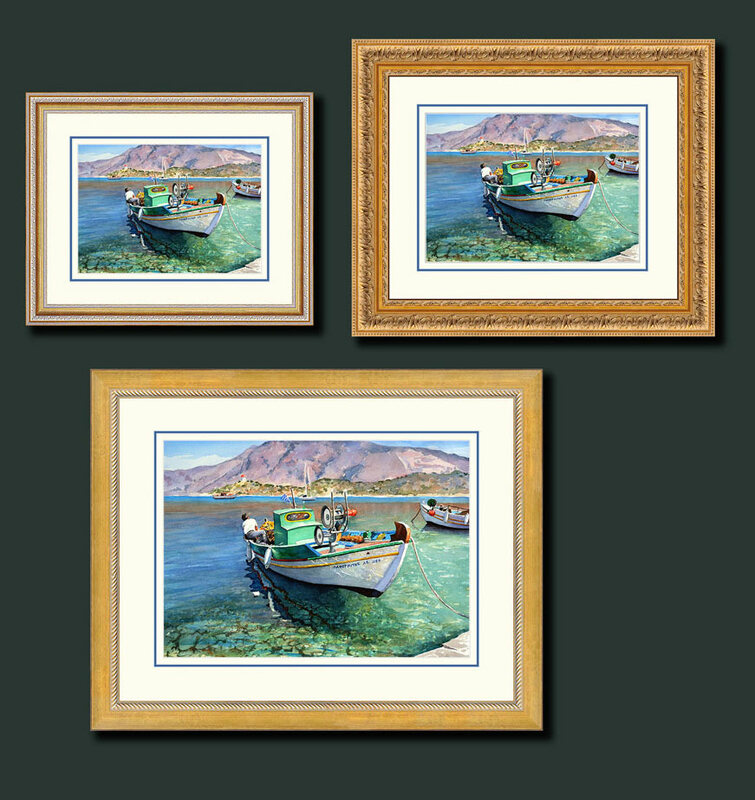 Most of the images in the Greek galleries are available framed in three sizes. Check the drop down menu of the image you are interested in to confirm size availability. The image sizes used are the same as the sizes for the unframed giclees. Also listed under the framed samples are the glass size and the outer size of the finished piece. At this time please contact us to order.